Many respected university professors, including some of the world's most renowned theologians, have expressed significant criticism of the 9/11 Commission Report. A number even allege government complicity in the terrorist acts of 9/11. Below are the highly revealing public statements on this vital topic of over 100 university professors with links for verification and further investigation. The collective voices of these respected professors along with over 50 senior government officials and over 100 media professionals and stars give credibility to the claim that the 9/11 Commission Report is tragically flawed. These dedicated individuals from across the political spectrum cannot be simply dismissed as irresponsible believers in some 9/11 conspiracy theory. Their sincere concern, backed by impeccable credentials, demonstrates that criticism of the 9/11 Commission Report is not only reasonable and responsible, it is in fact a patriotic duty. David Ray Griffin, PhD – Professor Emeritus of Philosophy of Religion and Theology, Claremont School of Theology. Author and/or editor of over two dozen books, Prof. Griffin first began to question the 9/11 official story in 2003 while exploring a 9/11 timeline filled with reliable, verifiable facts suggesting a major cover-up. He then switched his focus from theology to 9/11 research. His seminal book on unresolved inconsistencies in the 9/11 official story, The New Pearl Harbor, has sold over 100,000 copies. His recent Debunking 9/11 Debunking gives in-depth analysis showing that most critics of the 9/11 truth movement are avoiding the deep questions on key, easily verifiable facts. Video of Speech 9/14/06: "The official story is false. Now why is the official theory an outrageous conspiracy theory? Because every one of the major elements in it can easily be shown to be false." Member: Prof. Griffin is an esteemed member of two major organizations of scholars dedicated to researching and revealing the truth of what happened on the fateful day of 9/11, and of the intrepid WantToKnow.info team of dedicated researchers. 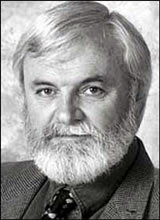 A. K. Dewdney, PhD – Professor Emeritus, Department of Computer Science, University of Western Ontario. Author of Scientific American's "Computer Recreations" and "Mathematical Recreations" section, 1984 - 1993. Author of over 80 scientific papers on mathematics, computer science, engineering, astronomy and biology. Author of numerous books, including: Beyond Reason: Eight Great Problems That Reveal the Limits of Science (2004), A Mathematical Mystery Tour: Discovering the Truth and Beauty of the Cosmos (2001), Yes, We Have No Neutrons: (1997), 200% of Nothing: An Eye Opening Tour Through the Twists and Turns of Math Abuse and Innumeracy (1996), The New Turing Omnibus: Sixty-Six Excursions in Computer Science (1993). Member: Scientific Panel Investigating 9/11. Panel Statement: "We have found solid scientific grounds on which to question the interpretation put upon the events of 9/11 by the Office of the President of the United States of America and subsequently propagated by the major media." Richard Falk, JSD – Professor Emeritus, International Law, Professor of Politics and International Affairs, Princeton University. In 2001 he served on the three-person UN Commission on Human Rights for the Palestine Territories, and previously, on the Independent International Commission on Kosovo. He is the author or coauthor of numerous books, including Religion and Humane Global Governance; Human Rights Horizons; On Humane Governance: Toward a New Global Politics; and Human Rights and State Sovereignty. Honorary Vice president of the American Society of International Law. Foreward to The New Pearl Harbor: "The New Pearl Harbor ... explores the most sensitive and controversial terrain—the broad landscape of official behavior in relation to the 9/11 disaster—in the best spirit of academic detachment coupled with ... a willingness to allow inquiry to follow the path of evidence and reason wherever it leads. [It shows that] there are so many gaping holes in the official accounts of 9/11 that no plausible coherent narrative remains. 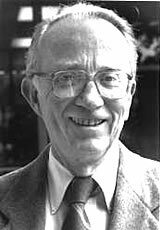 John B. Cobb, Jr., PhD – Professor Emeritus of Theology and Co-Director of the Center for Process Studies at the Claremont School of Theology. Prof. Cobb was a Fullbright professor at the University of Mainz, and visiting professor at Vanderbilt, Harvard, and Chicago Divinity Schools. 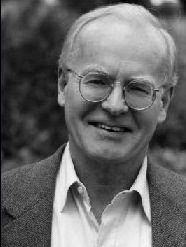 Author, co-author, and editor of numerous books on religion, his writings include; Biblical Preaching on the Death of Jesus (1989), For the Common Good co-authored with Herman Daly and winner of the Grawemeyer Award for Ideas Improving World Order (1991), Sustaining the Common Good : A Christian Perspective on the Global Economy (1994), Christ in a Pluralistic Age (1999), God and the World (2001), The Call of the Spirit: Process Spirituality in a Relational World (2005). Co-editor of 9/11 book: Joining the many educated elite raising serious questions about possible involvement of rogue elements of government in 9/11, Prof. Cobb was co-editor of a landmark book from a religious perspective on this vital topic, 911 and American Empire (Vol II) – Christians, Jews and Muslims Speak Out (2006). Immediate investigation in Congressional hearings. Media attention to scrutinize and investigate the evidence. Steven Jones, PhD – Former Professor of Physics at Brigham Young University. Retired in October 2006 to devote more time to 9/11 research. 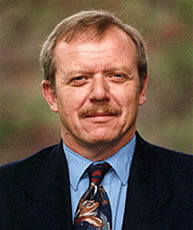 Principal Investigator for experimental Muon-catalyzed fusion from 1982 to 1991 for the U.S. Department of Energy. Author of over 40 papers published in peer-reviewed scientific journals. Member: Scholars for 9/11 Truth and Justice. Association Statement: "Scholars for 9/11 Truth and Justice is a non-partisan organization consisting of independent researchers and activists engaged in uncovering the true nature of the 9/11 attacks." Howard Zinn, PhD – Professor Emeritus of Political Science, Boston University. Historian, social activist, and author. Former U.S. Army Air Corps bombardier in World War II. Author of numerous books, including the highly popular A People's History of the United States (1980 - 2005). 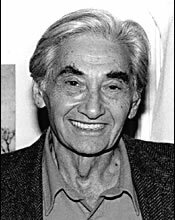 Other books of his are Howard Zinn on Democratic Education (2004), Terrorism and War (2002), and The Zinn Reader (1997). Endorsement of The New Pearl Harbor: "David Ray Griffin has done admirable and painstaking research in reviewing the mysteries surrounding the 9-11 attacks. It is the most persuasive argument I have seen for further investigation of the Bush administration's relationship to that historic and troubling event." Endorsement of Debunking 9/11 Debunking: "Considering how the 9/11 tragedy has been used by the Bush administration to propel us into immoral wars again and again, I believe that David Ray Griffin's provocative questions about 9/11 deserve to be investigated and addressed." 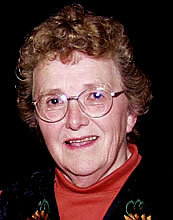 Rosemary Radford Ruether, PhD – Professor Emerita, Pacific School of Religion and Graduate Theological Union. Author and editor of numerous books including; Four Centuries of American Women's Religious Writing (1996), Women and Redemption: A Theological History (1998), Christianity and Ecology (2000), Christianity and the Making of the Modern Family (2001), The Wrath of Jonah (2002), Interpreting the Postmodern: Responses to "Radical Orthodoxy" (2006), Encyclopedia of Women And Religion in North America (2006). Essay: "Until recently I dismissed the suggestions that the Bush administration might have been complicit in allowing 9/11 to happen as groundless "conspiracy theory." Thus it was with some skepticism that I agreed to read the new book written by David Ray Griffin ... that argues the case for just such complicity. 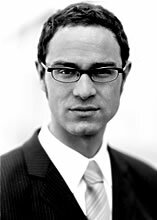 "Griffin writes in a precise and careful fashion, avoiding inflammatory rhetoric. He argues for a high probability for the Bush's administrations complicity with allowing and facilitating the attacks, based not on any one conclusive piece of evidence, but the sheer accumulation of all of the data. He concludes by calling for a genuinely independent investigative effort that would examine all this evidence. Peter Phillips, PhD – Professor of Sociology, Sonoma State University. Director, Project Censored. Author of several books and chief editor of the highly regarded annual Project Censored books which uncover vital news neglected by the major media. 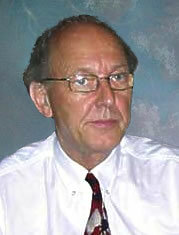 Prof. Phillips is also a respected member of the intrepid WantToKnow.info team. Essay 3/6/05: "A threshold concept facing Americans is the possibility that the 9/11 Commission Report was on many levels a cover-up for the failure of the US government to prevent the tragedy. The report failed to address sources of external assistance to the terrorists. Investigations into this area might have lead to a conclusion that elements of various governments - including our own - not only knew about the attacks in advance, but also may have helped facilitate their implementation. "Overall concerns with the official version of 9/11 have been published and discussed by scholars and politicians around the world. The response to most has been to label these discussions as "conspiracy theories" unworthy of media coverage or further review. Pursuit of a critical analysis of these questions is undermined by the psychological barrier about 9/11 issues as threshold concepts — too awful to even consider. Daniele Ganser, PhD – Professor in the History Department at the University of Basel. Former Senior Researcher at the Center for Security Studies at the Swiss Federal Institute of Technology. Former Researcher at the Military Academy (MILAK) of the Swiss Federal Institute of Technology. Author of NATO's Secret Armies, on the history of U.S.-sponsored false flag operations in Europe after WW II. Interview 4/8/05: "Academics who study secret warfare find themselves between these three theories—LIHOP [The US government knew the attack was coming, but Let It Happen On Purpose], SURPRISE [The US government was not expecting the attack], and INSIDE JOB [The U.S. government planned and executed the attack]. They all are "conspiracy theories," by the way. Researchers try to find out which theory is best able to account for all the known facts. "But unfortunately, the 600-page [9/11 Commission] report, published in July 2004 and accepted by Bush as the "official story" of what happened in respect to 9/11, does not even mention the LIHOP and INSIDE JOB theories! It presents SURPRISE as the only possible explanation. John McMurtry, PhD – Professor of Philosophy, University of Guelph. Fellow of the Royal Society of Canada. Author of several books dealing with public policy issues, including: Value Wars: The Global Market Versus the Life Economy, and Unequal Freedoms: The Global Market As an Ethical System. Signatory: Petition For An Independent International 9/11 Truth Commission. "The Bush administration has never offered a detailed and documented account of its claims about the events of 9-11 which have allegedly revolutionized human affairs. Nor has it explained obvious and serious discrepancies in its own statements and actions. The Kean-Hamilton panel's limited funding from Congress makes a mockery of the tragedy of 9-11, considering that it is only a small fraction of the huge sums spent to investigate Bill Clinton [for his sexual indiscretions]. 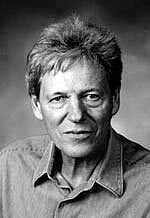 Peter Dale Scott, PhD – Professor Emeritus of English at the University of California, Berkeley. Former Canadian diplomat who served at the UN and the Canadian Embassy in Poland. 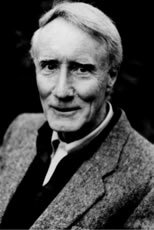 Author of Drugs, Oil and War (2003), and several other books including Deep Politics and the Death of JFK (1996) and The Iran-Contra Connection. Co-editor of 9/11 and American Empire (Vol I) – Intellectuals Speak Out (2006). His writings deal, among other matters, with U.S. covert operations and their impact on democracy at home and abroad. 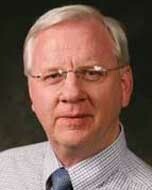 Prof. Scott is also a respected member of the intrepid WantToKnow.info team. – Key members of the network which became al Qaeda, such as Sheikh Omar Abdel Rahman, Ali Mohamed, Mohamed Jamal Khalifa, and lead hijacker Mohammed Atta, were granted visas to enter the United States, despite being suspected of terrorism. Michel Chossudovsky, PhD – Professor of Economics, University of Ottawa. Consultant to several international organizations including the United Nations Development Programme (UNDP), the African Development Bank, the United Nations African Institute for Economic Development and Planning (AIEDEP), the United Nations Population Fund (UNFPA), the International Labour Organization (ILO), the World Health Organisation (WHO), the United Nations Economic Commission for Latin America and the Caribbean (ECLAC). Prof. Chossudovsky is the author of several important books, including his popular War and Globalisation: The Truth Behind September 11. Article 7/20/06: "What I've done in my writings is to show that the official narrative or explanation regarding 9/11 can be refuted, namely that the official narrative is a lie. To read statements of over 50 government and military officials with 9/11 questions, click here. For a website where many hundreds of architects and engineers discuss flaws in the 9/11 story, click here. For the most comprehensive website listing respected and well-known people from all walks of life who are joining in calling for a real 9/11 investigation, see Patriots for 9/11 Truth at this link.